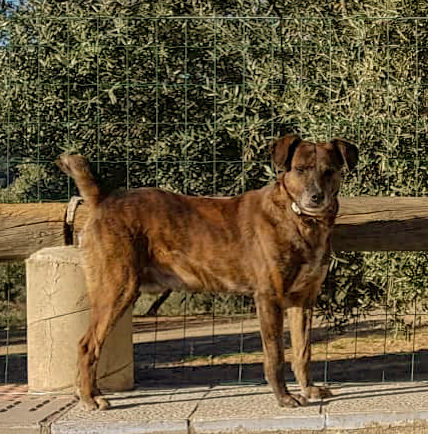 Hi, my name is Marron. 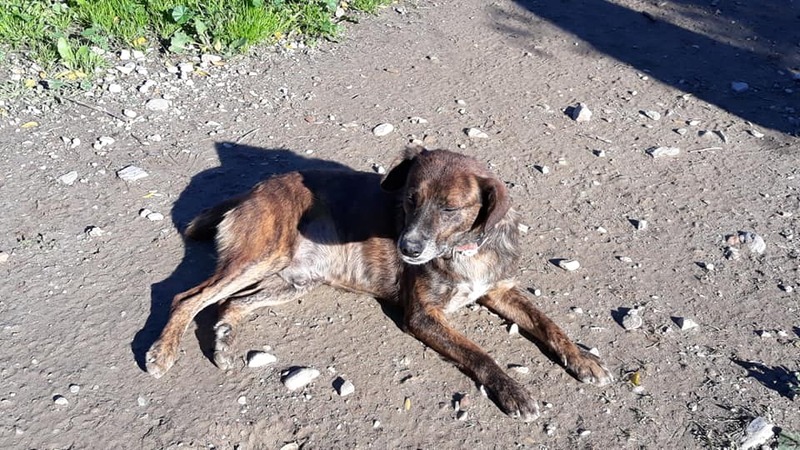 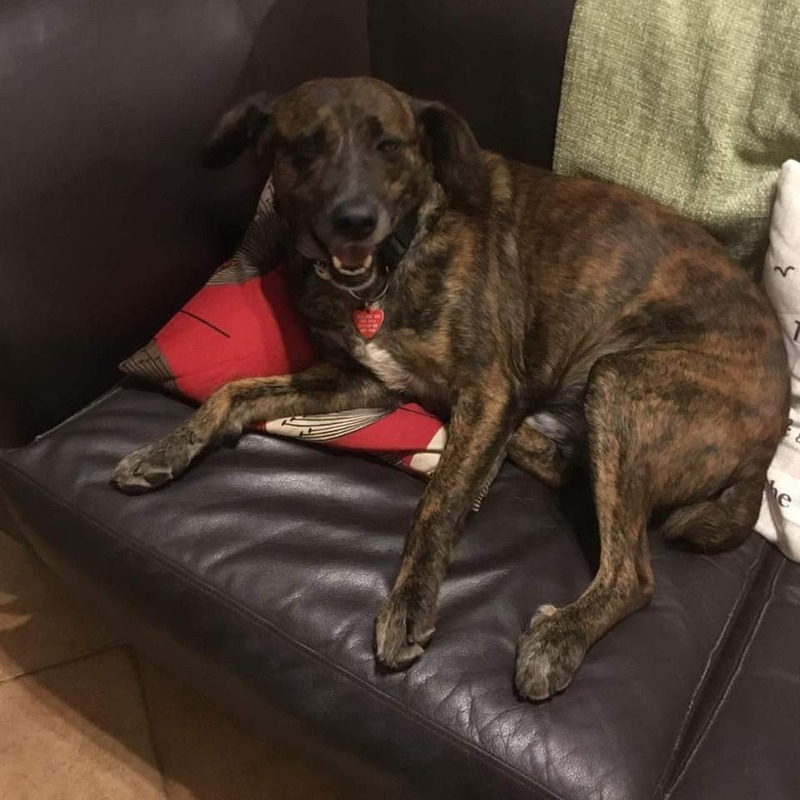 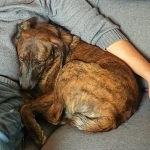 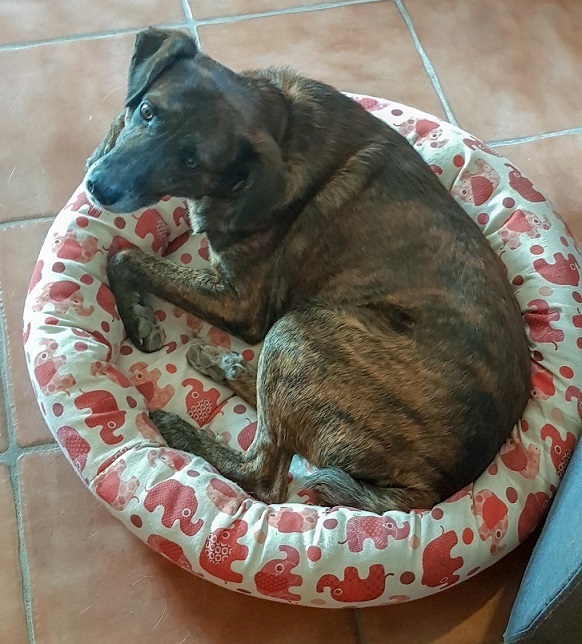 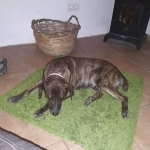 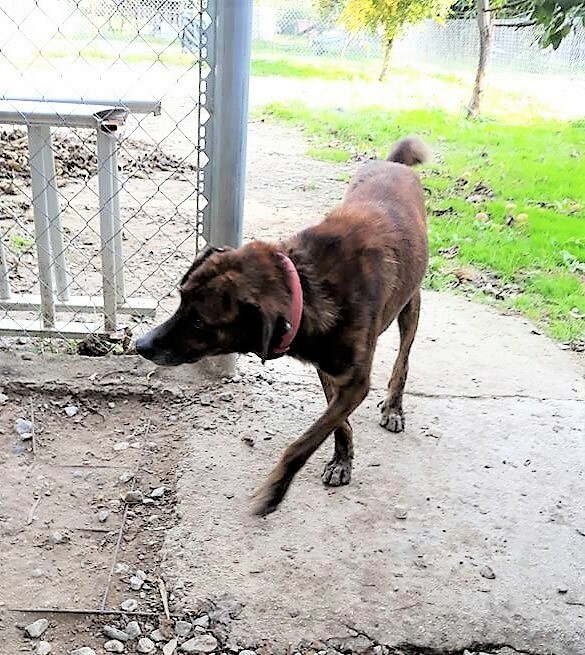 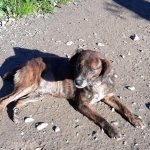 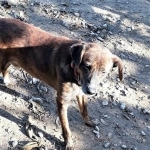 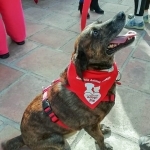 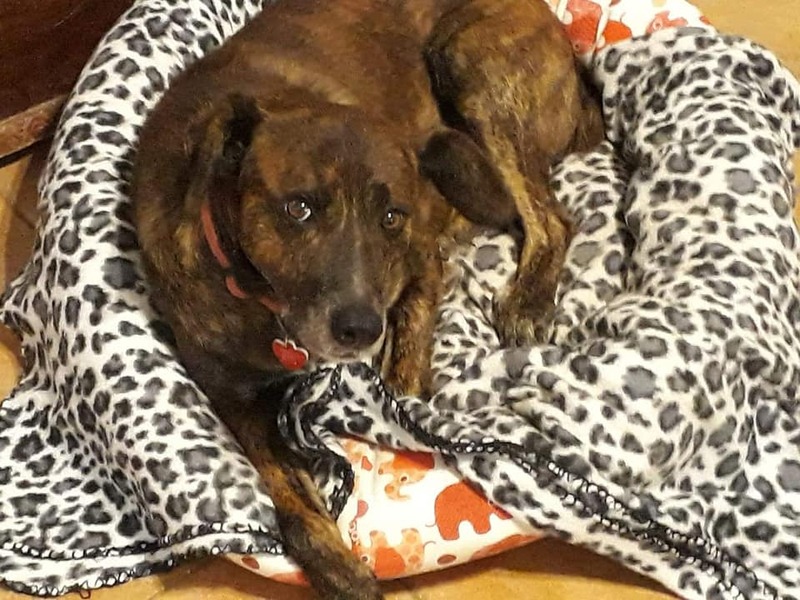 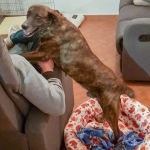 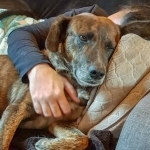 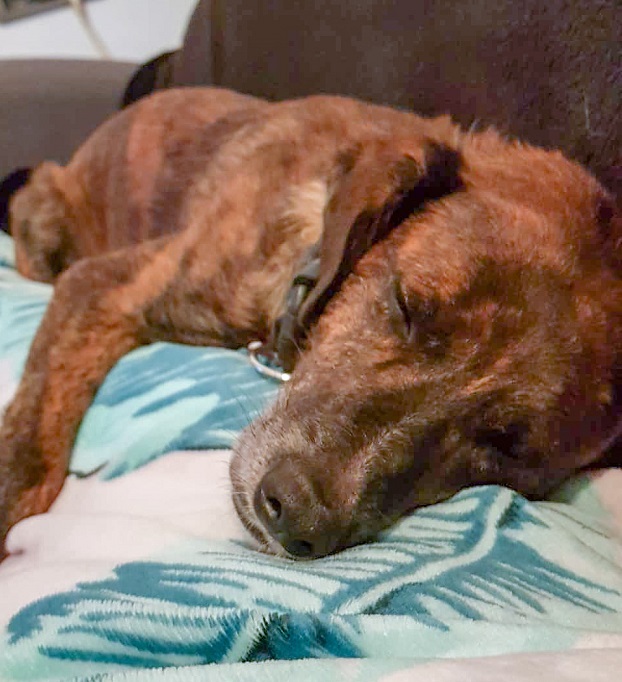 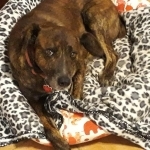 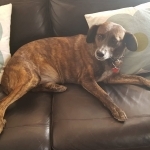 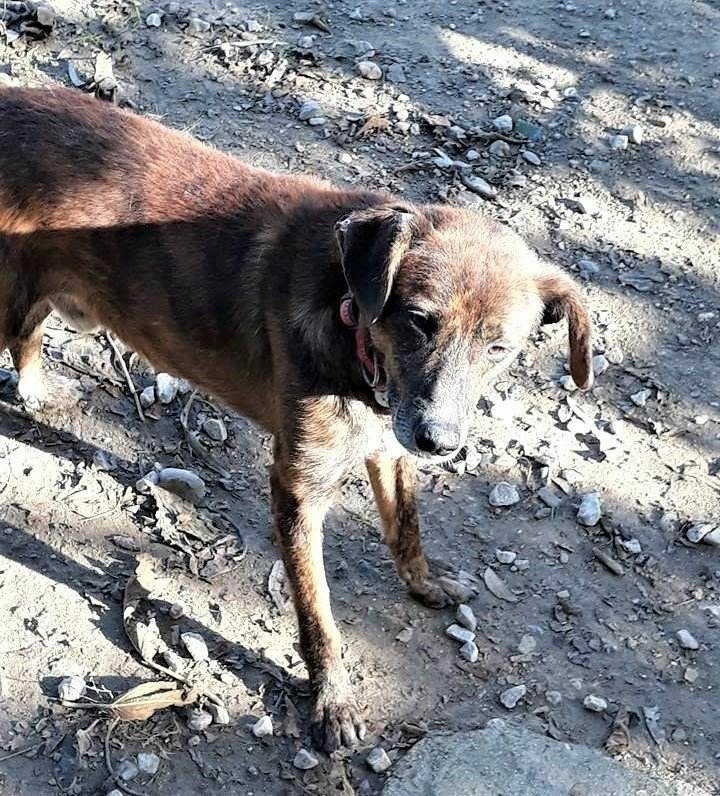 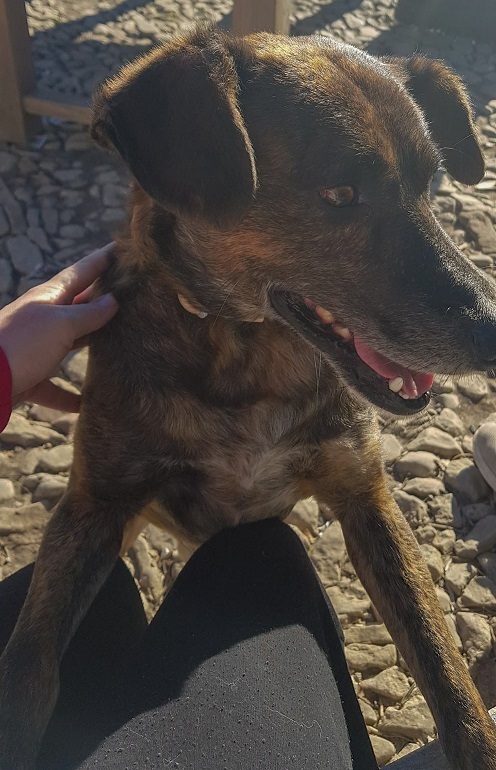 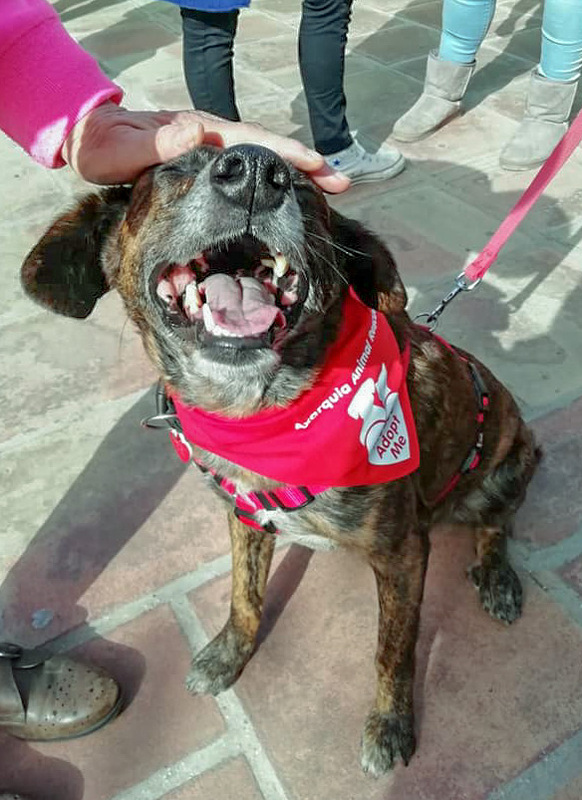 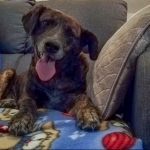 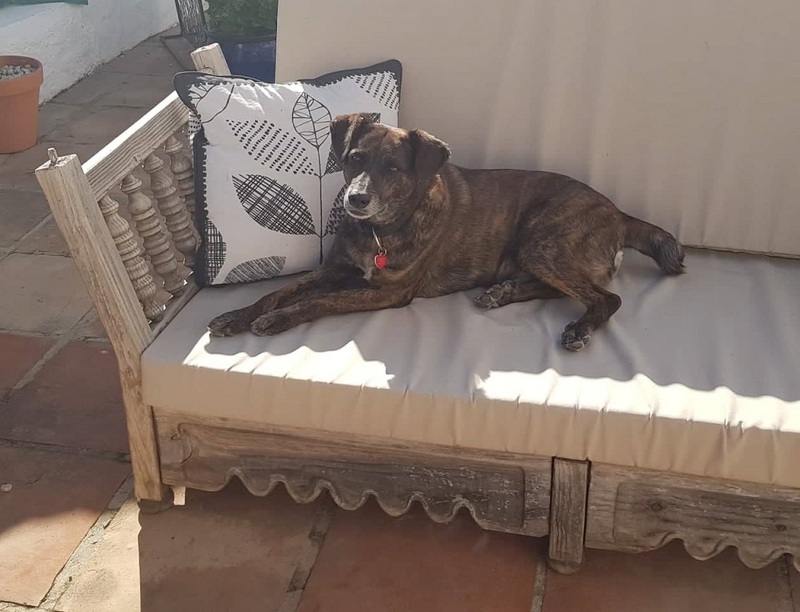 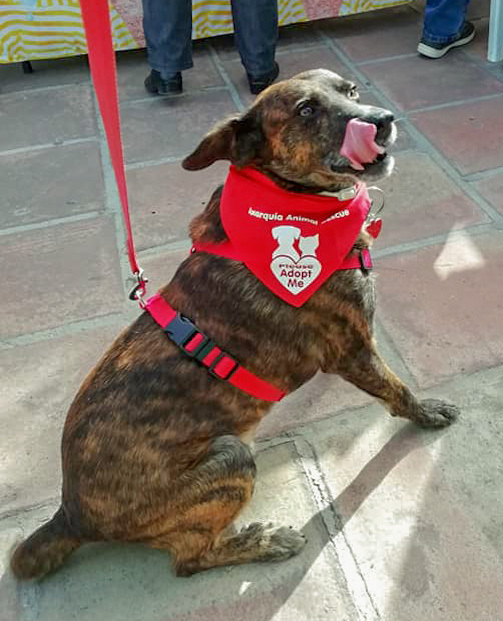 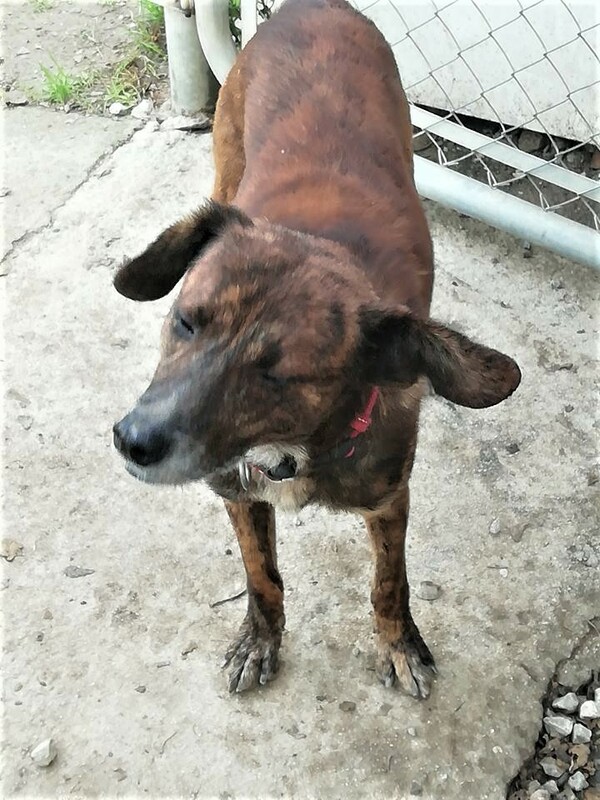 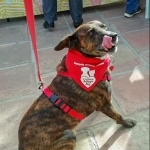 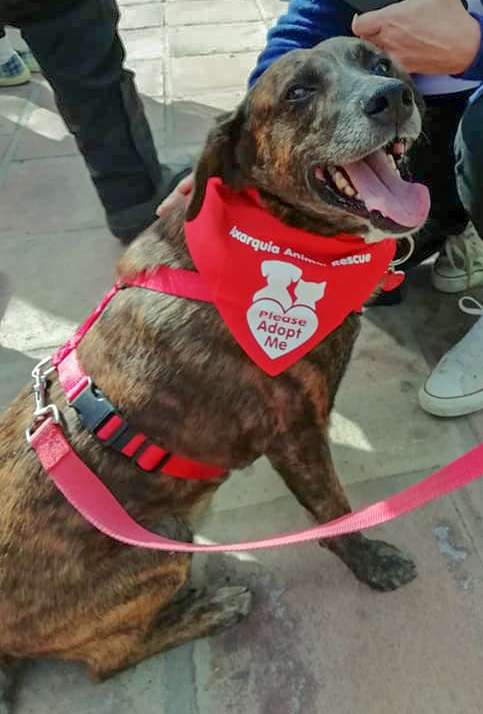 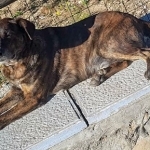 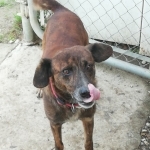 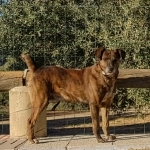 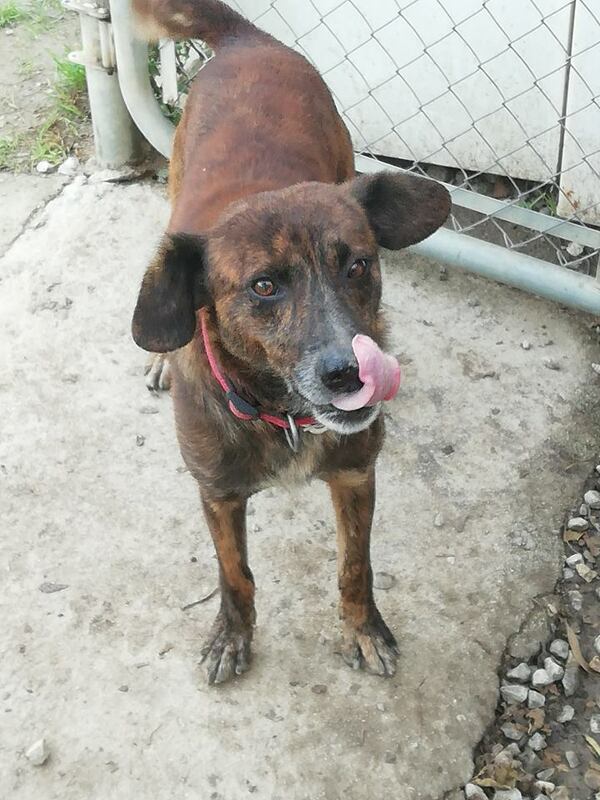 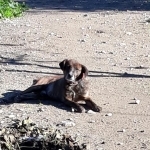 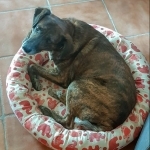 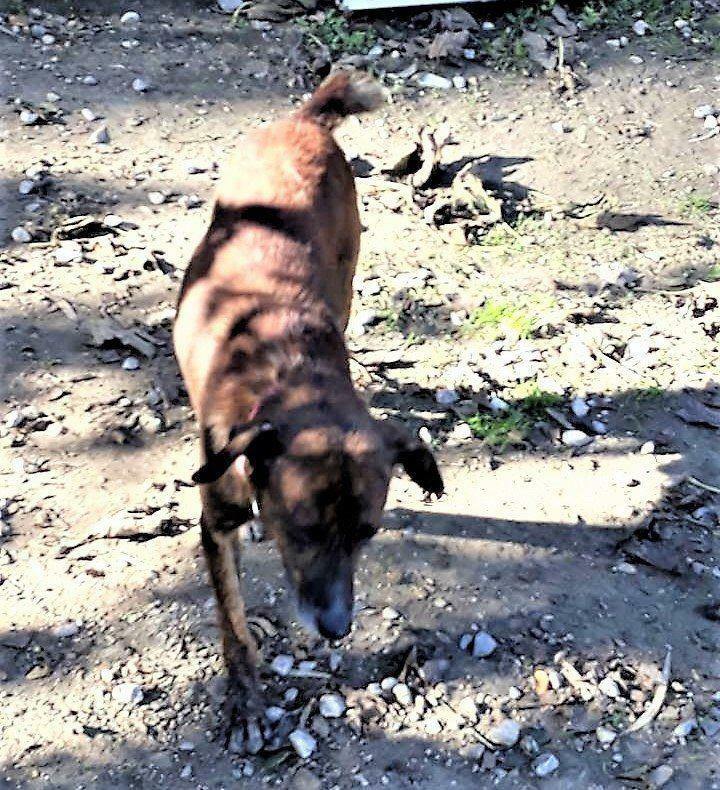 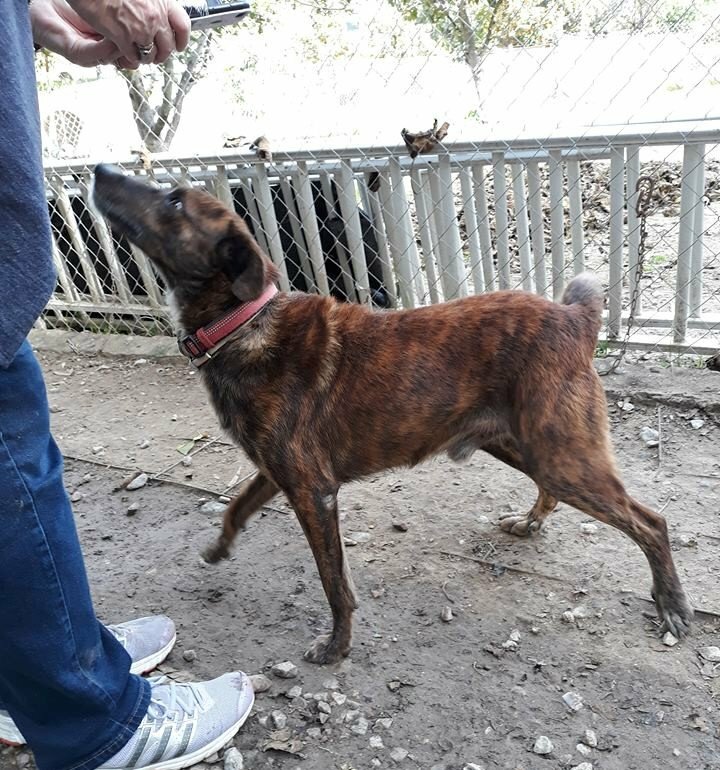 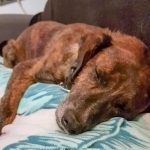 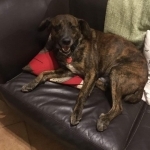 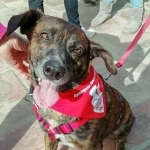 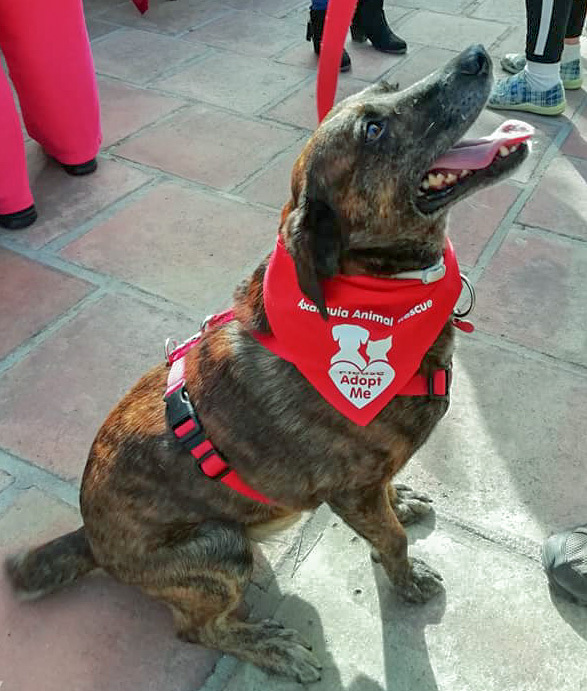 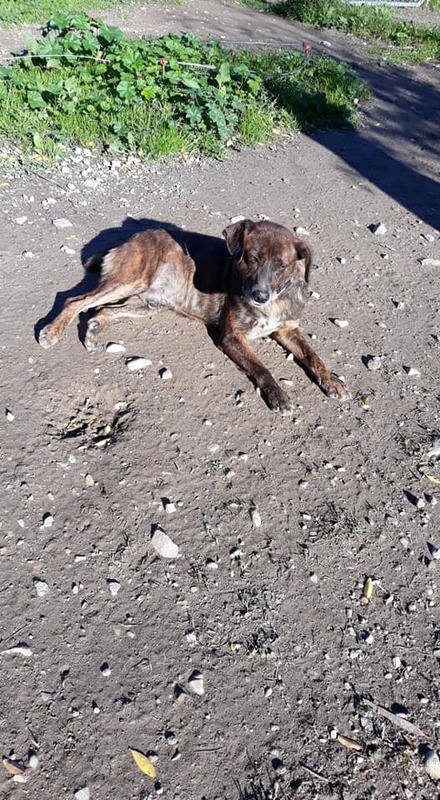 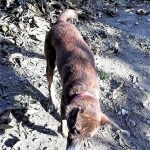 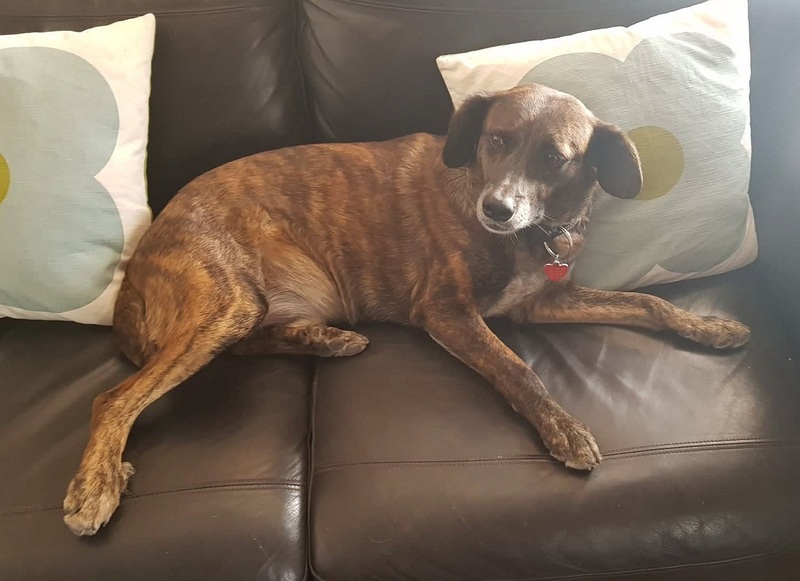 I'm a male brown brindle coloured Mixed Breed and I'm 5 years old. 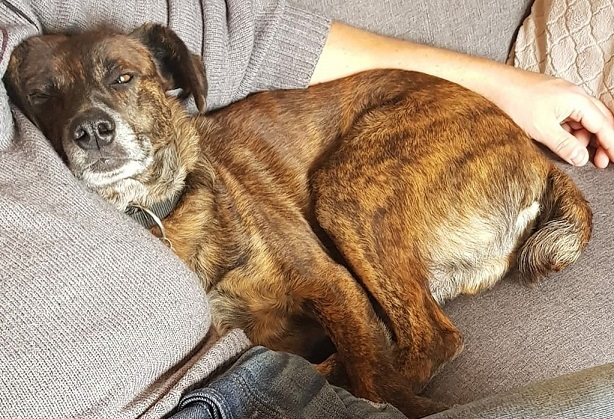 I'm a medium sized dog. 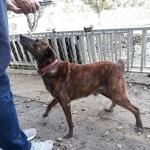 I'm 94cm from nose to tail and 35cm tall, and I weigh 19.80kg . 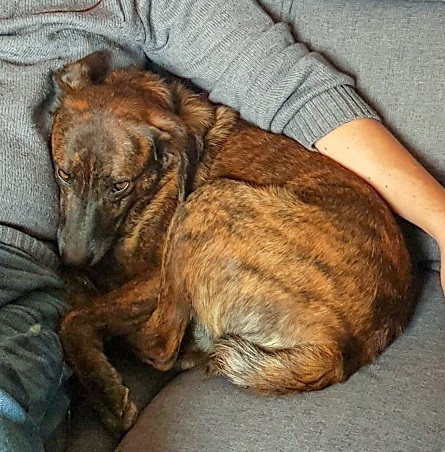 I'm neutered. 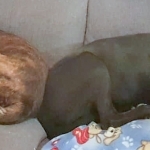 I'm good with other dogs and cats. 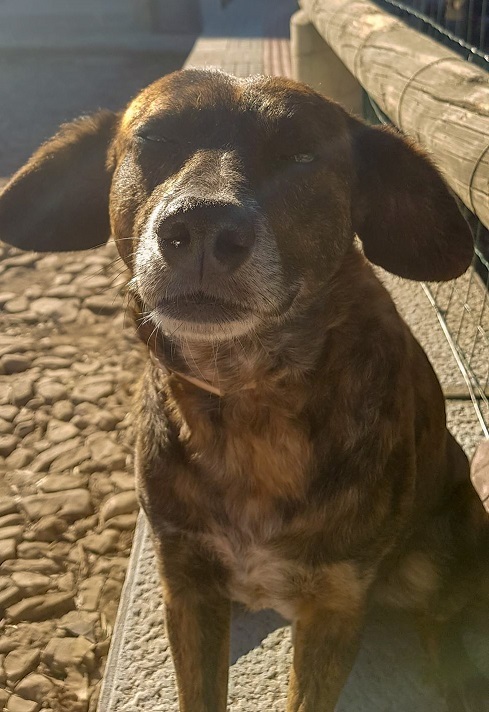 The team here are still getting to know me and don't yet know how I get along with children. 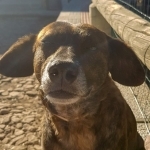 But I love to meet new friends and I'll be getting socialised with them soon so we'll keep you posted. 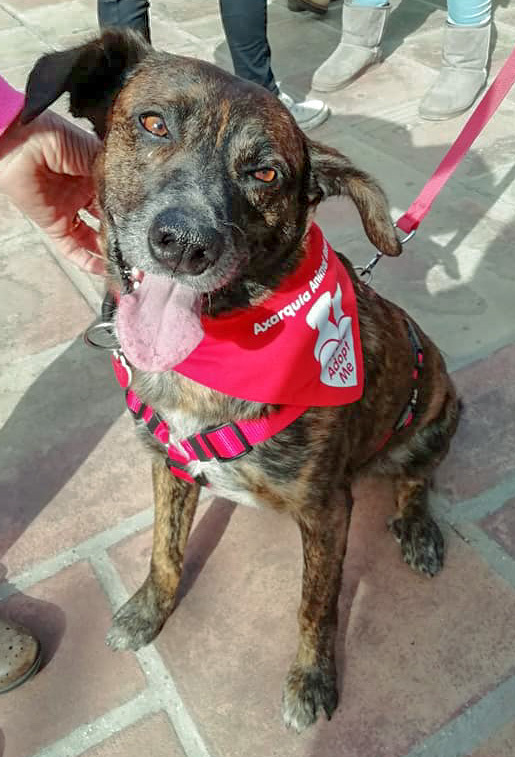 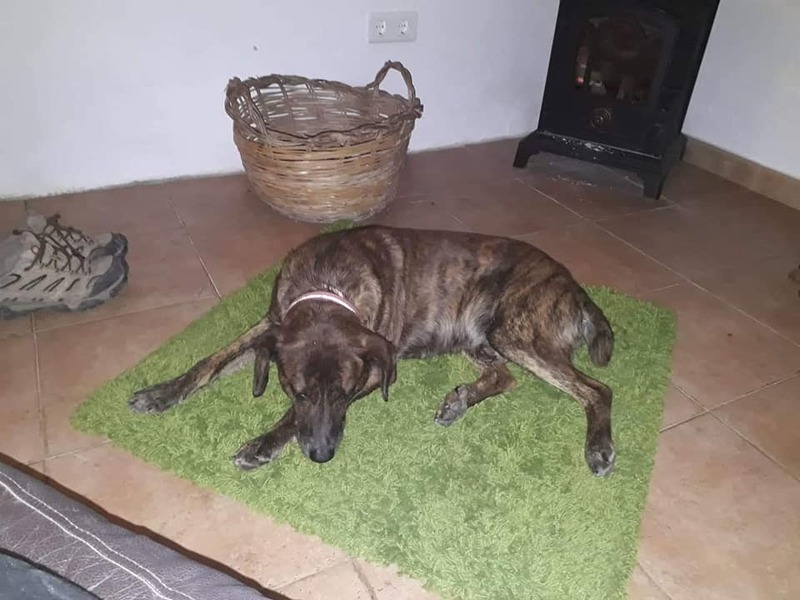 I've had my vaccinations and have my chip and passport so I'm ready to travel to a new forever home in Spain, or (unless otherwise mentioned) anywhere in Europe. 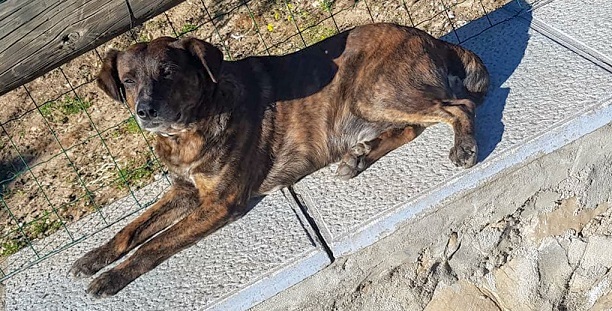 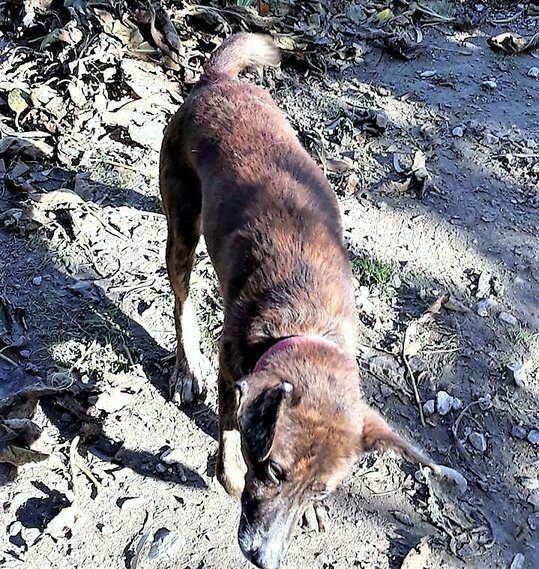 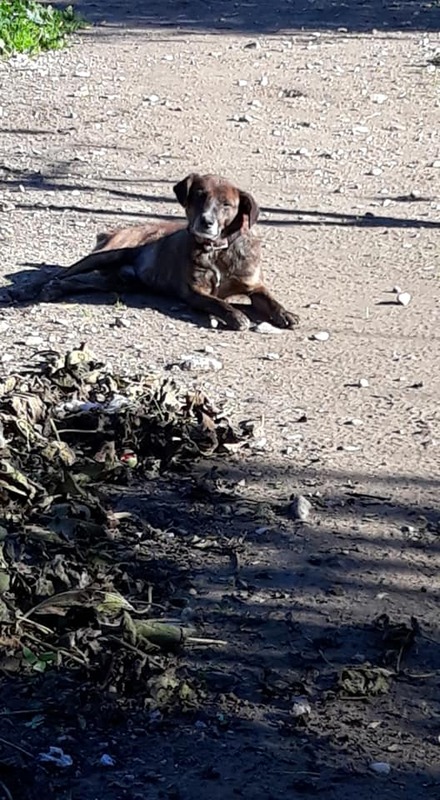 After an alert from a worried member of the public, I was rescued from a terrible situation with multiple other dogs, I was kept by a goat-herder – no shelter, stale bread on the floor for sustenance and no water. 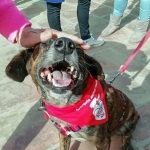 Can you imagine having to do a physical day’s work under this duress? 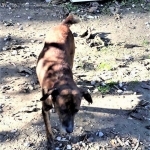 And after my day’s work I was just chained up outside. 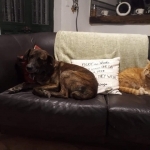 I am now in a foster home and am finding out what it is like to be in a house, with all the comforts, sounds and relationships this brings. 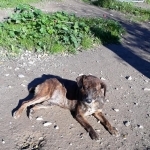 I'l keep you updated here on my progress. 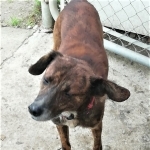 People who meet me cannot believe how unaffected I am, given where I was rescued from! 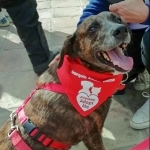 They describe me as happy go lucky; I'm always ready to greet humans with a cuddle and a wag of my tail. 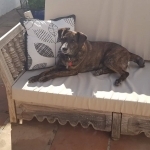 I am a bit of a sun-worshipper, I love the simple pleasures in life; like sitting outside and chill out. 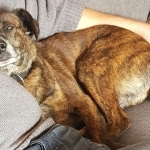 I am content in the evenings to relax (on the sofa if I can, woops!) 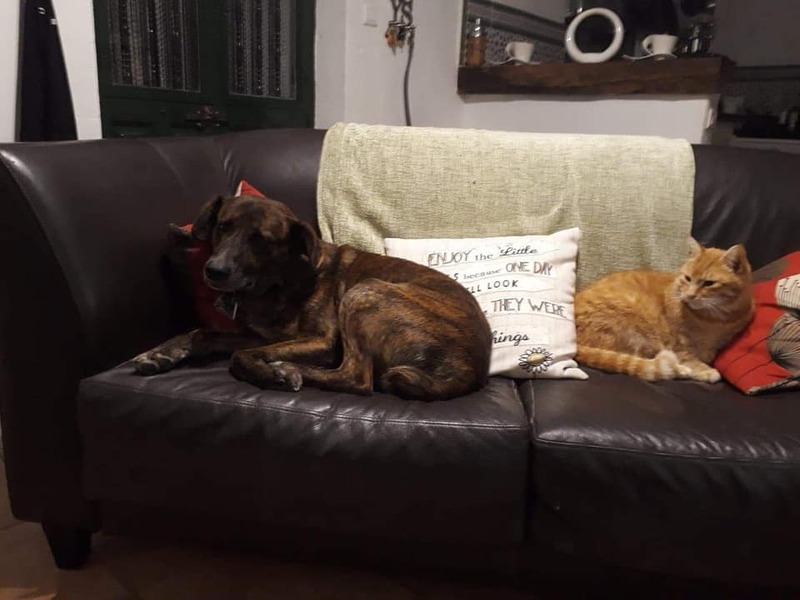 alongside my foster-cats. 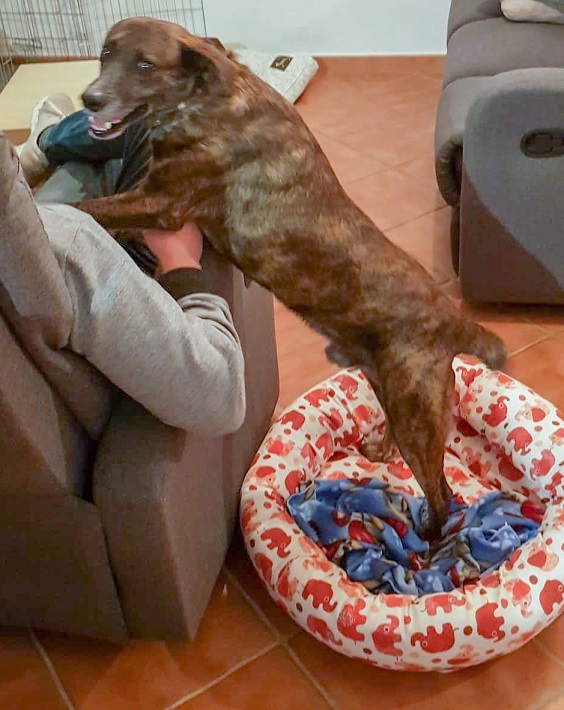 I am eager to please and very obediant; I pick up commands very easily and am so happy when humans are happy with me too. 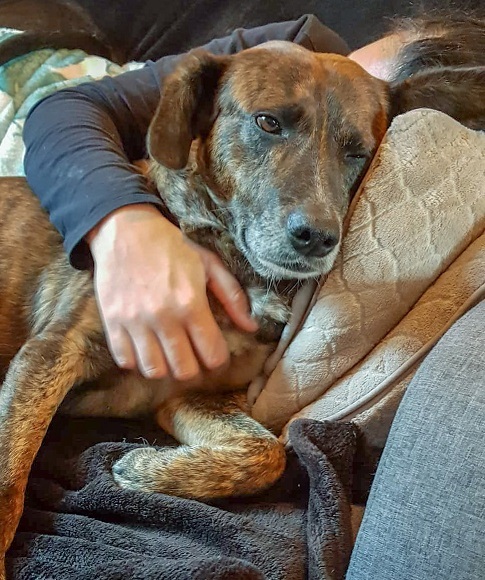 For my forever home, I would like to live with a calm dog of a similar age who I can continue to learn from, and relax with. 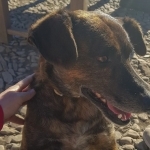 I would benefit from a family who can continue to teach me skills as I am very clever. 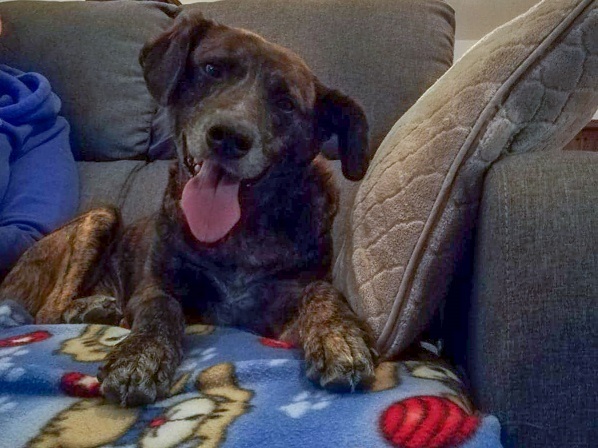 I'm more than ready for my forever home, I'm such a fun boy to have around and I am so grateful for my second chance. 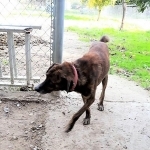 Please contact us if you would like more information on Marron.